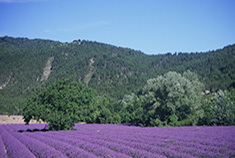 Treat yourself to a taste of Provence without the summer crowds, visit those places you never quite got round to when the pool beckoned in the summer. Enjoy the brightness of early Spring and the warmth of Autumn when the weather in England can be at its coldest and most gloomy. Enjoy all the comforts of home at one of our comfortable houses and take advantage of off peak airfares. Marseille airport is just one hour's drive from the Luberon, Nimes about 1½ hours and there is a good choice of flights with Ryanair, British Airways and Easyjet. The choice of great value flights and the fact that arrival and departure times at the houses can be flexible, enables you to make the most of your time in the area. Car hire is easily arranged in advance with all the major car rental companies. Bring friends and show them the beautiful Luberon and share the accommodation and car hire costs between you making your Short Break even better value. Can the weather really be that good? 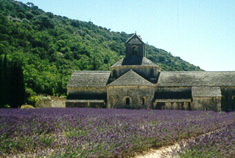 Spring and Autumn are some of the best months of the year in this part of Provence. In March and April the season has already begun. It starts with the cherry and almond blossom followed by a burst of green as the vines push out their shoots. Layer dressing is the order of the day with jackets and jumpers first thing in the morning and evening but T-shirts at midday. Yes, the mistral can blow but as a result the colours and the light are beyond compare. October and early November are a superb time to visit too. October can be as warm as early summer and although the days are shorter, the clarity of the provencal light, and the fact you can still eat outside at midday more then recompense. In late October and early November as the nights get colder the colours of the vines, cherry trees and oaks are magnificent and the colder air creates those fabulous blue skies only Provence can offer. 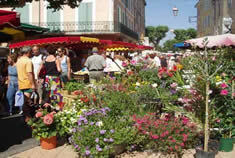 The Saturday market in Apt never closes and all the tourist sights of Avignon, St. Remy, Arles, Aix en Provence etc. are open all year round. Some restaurants do close but not usually until mid November and most are open again by mid February. If you have a particular favourite, and your weekend would not be the same without a visit, we'll be happy to enquire on your behalf regarding opening times. 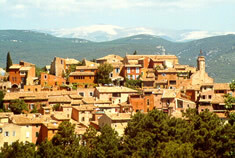 Provenceholidayhouses.com can offer a choice of comfortable houses for Short Breaks. 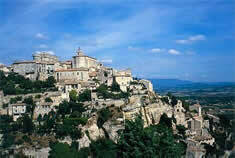 All have efficient heating and some a cosy provencal fireplace for log fires. The Rossignol apartments can also offer a relaxing hammam spa. The beds are made up and the heating is on so the place is warm and cosy when you arrive and we can provide a small pack of everyday essentials so you don't need to worry about rushing out to the supermarket the minute you arrive. Short breaks are available from October to April and subject to availability we may also be able to accept Short Break bookings for May. Bookings can be made for any combination of 3 or 4 night stays mid-week or weekend. Other property owners may be willing to offer short breaks from time to time. 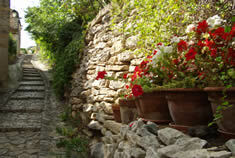 If there is a property you'd particularly like to try just give us a call and we'll check to see what can be arranged. 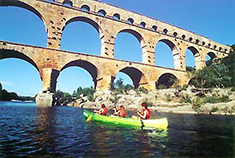 To make a booking with provenceholidayhouses.com, in the first instance please e-mail or phone us in order to check that the dates you have chosen are available. We ask for full payment at time of booking together with a separate cheque of a refundable damages deposit of £50. Any charges for breakages or repairs will be made against the deposit and the balance returned to you. Our postal address for payment by cheque or, details for bank transfer payments, are available upon booking. Upon receipt of your payment, we send you a Booking Confirmation with details of your booked dates together with details of how to find the house/collection of keys and information on ideas for visits and excursions and recommended restaurants during your stay. Arrival and departure arrangements are flexible depending upon your travel arrangements so you have full use of the house from the time you arrive in the area and up to the time of your departure. Actual arrival and departure time will also have to take into consideration an allowance for cleaning the house before and after your stay. The owners of Les Rossignol Suite and Apartment have decided to increase their availability by permitting shorter breaks even in high season. Arrivals can be accommodated on Wednesdays and Saturdays with a minimum stay of 3 nights. Prices are approximately prorata to our published prices, just contact us for details.